DAVID H. BRINTON is the principal in the Law Offices of David H. Brinton, LLC, in Chicago, Illinois. After practicing exclusively in tort defense until 1998, he has since concentrated in representing plaintiffs in nursing home litigation and medical malpractice, among other areas. 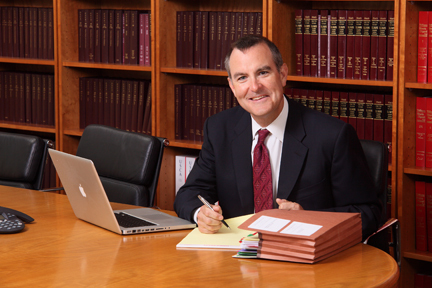 He is a Leading Lawyer in Illinois in Nursing Home Negligence law. This is a recognition from his peers – other Illinois lawyers. DePaul University College of Law (“Elder Law: Nursing Home Litigation”; Chicago, Illinois – March 2011, April 2012, April 2013, March 2014, and April 2015). Mr. Brinton also donates his time to the “Big Brothers, Little Brothers” program. He also enjoys participating as a Judge for the American Association of Justice Mock Trial Competition, which helps aspiring attorneys sharpen their litigation skills. Mr. Brinton has also acted as a Judge for the American Association of Justice Mock Trial Competition (formerly ATLA), Chicago Regional, in March of 2006 through 2010. He has also taught at DePaul University College of Law (“Elder Law: Nursing Home Litigation”; Chicago, Illinois – 2011 to 2017). He is a member of the Illinois State Bar Association, American Association for Justice, and Illinois Trial Lawyers Association. He received his J.D. from DePaul University College of Law in 1985 and his B.A. from Lawrence University in 1982.